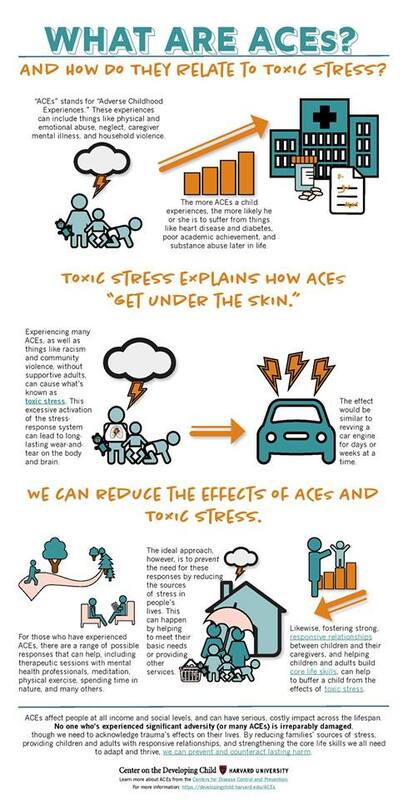 The Adverse Childhood Experiences (ACE) Study findings represent a paradigm shift in human understanding of the origins of physical, social, mental, and societal health and well-being. We now know that leading causes of disease and disability, learning and productivity problems, and early death have their roots in the cumulative neurodevelopmental impacts of Adverse Childhood Experiences (ACEs). Peacemaker staff trained in the ACE Interface model facilitate sessions for schools, organizations and community groups that include practical resiliency-building strategies that are good for ALL! A 3.5-hour training for school and district teachers, paraprofessionals, student support, administrators, school board members, parents, community partners & interested organizations. A 3-hour training for school and district teachers, paraprofessionals, student support, administrators, school board members, parents, community partners & interested organizations. These 2 to 3-hour presentations are offered to both community and human service organizations and are designed to meet the needs of the audience. Learn the effects of toxic stress and adverse experiences on brain and nervous system development. Discuss the key findings of the Adverse Childhood Experiences (ACE) Study. Learn how to interact and support people who have experienced to build and strengthen their resiliency. If you are interested in scheduling a workshop, please contact Barb.